Welcome to Cover Girl. Each month, we gather a team of WWAC contributors to analyze a new and notable comic book cover featuring one or more women. 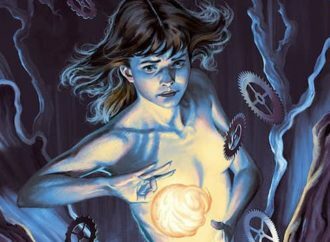 This month, Nola, Annie, and Louis discuss Steve Morris’ cover for The Magicians: Alice’s Story from BOOM! Studios.